People often accuse me of being overly negative. They have a point – I often write about impending doom, the long odds of finance recruiting, and how many industries will collapse. And I’ve structured my current portfolio under the assumption that the markets will crash sometime in the next few years. For example, back in 2008, I was 98% convinced that the finance industry was going to die, but it’s still chugging along 10+ years later. And then in 2014-2015, I thought inflated assets would come crashing back down to earth, which didn’t exactly happen – at least not in the time frame I expected. So, whenever I hold a strong view about something, I like to think about the counterfactual: why might I be wrong? To do this, I’ll consider both the real economy – the one where people buy products and services and earn wages – and the financial markets. Put simply, healthcare and education have become 2-3x more expensive in the past 20 years, while prices of other products/services have risen by 50-60%, in-line with inflation; some have even stayed the same or even fallen. I don’t agree with the author’s conclusions that this is entirely a story about “free market forces vs. regulatory capture by government,” though government policies do factor in. 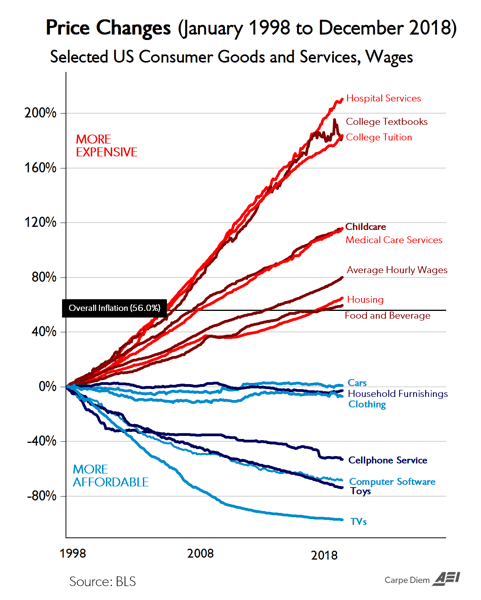 The pricing picture is even more distorted than this chart suggests because people spend far more on university tuition and healthcare than they do on toys or TVs. The message is simple: if you grew your income at a good clip over the past ~20 years, you were probably in business, law, finance, engineering, or certain areas of healthcare. 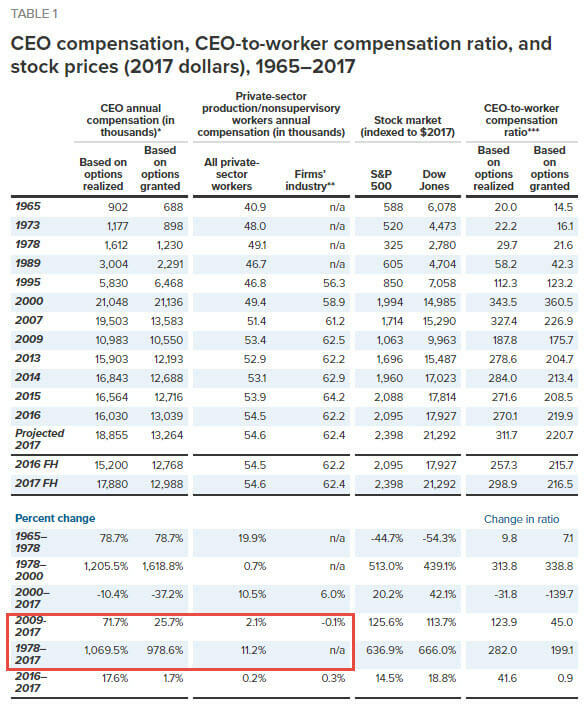 Yes, that’s right: from 2009 to 2017, average annual CEO compensation increased by 25% to 72%, while workers’ average compensation only went up by… 2%. Or maybe 0%. The mainstream narrative is that the economy and markets have recovered since the 2008-2009 crash. After initial declines, GDP began to grow again, employment rose, and wage growth returned – all thanks to government policies and the wise old Federal Reserve. That mainstream narrative isn’t “wrong,” but it is misleading. As the data above shows, the recovery benefited some sectors and workers far more than others, and the Bottom 60% is arguably in worse shape now than before the crisis. Most sources have also ignored that the economy is now entirely dependent on debt to produce growth. Over these 20 years, $1.37 of debt was required for each $1.00 of GDP growth. Oh, and that doesn’t even count massive future liabilities like Social Security, Medicare, and Medicaid. In short, what we experienced since 2008-2009 was not so much a “recovery” as a partial recovery driven by easy money and a massive increase in debt, and which benefited a minority of people in select industries. If you had wealthy parents, attended an Ivy League school, and went into tech or finance, you’ve probably done well. And if not, you can look forward to finally repaying your student loans at age 71 – if you make it that far. I’ve explained my views on the financial markets in the previous article, so I don’t have much to add here. Put simply, the Fed, ECB, and BOJ created a bubble by keeping interest rates low for so long and injecting massive liquidity with quantitative easing. It’s one of the many reasons why the Top 40% has done well over the past decade, while the Bottom 60% is worse off than before. Now that the Fed is reversing QE, with the ECB set to follow (maybe…), I believe there’s far more downside than upside in the markets. In the period shown here, Australia’s GDP increased by an average of ~2.6% per year vs. only ~1.5% per year for the U.S., and the average P/E ratios of both stock markets grew by 15-20% following the crash. 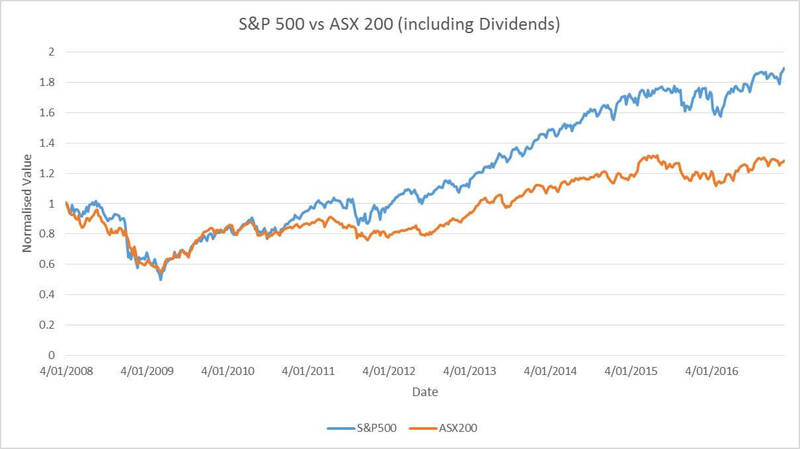 Despite that, the S&P 500 increased by nearly 300% from its 2009 low to 2016, while the ASX 200 rose by just over ~100%, ending about 25% higher than its level at the start of 2008. Yes, these are different economies, earnings growth was different, Australia is smaller and more dependent on natural resource industries, the governments work differently, etc. – but we’re still talking about a 100% vs. 300% difference. Economic and market recoveries would have happened even without QE and ZIRP, but with those, the stock market went into “bubble” territory. The Bear Case is simple: the economy becomes even more distorted, and the Bottom 60% keeps falling further behind while the Top 40% gains even more income and wealth. Similar to the “military-industrial complex” that grabbed hold of the U.S. economy after World War II, the Elite-University-Prestigious-Job (EUPJ) complex becomes even more dominant. In other words, you can get a good job… in some industries… but only if your parents are wealthy or you borrow a small fortune to attend a top school. Certain avenues become completely closed off unless you have the right university, degree, and family background, and social mobility falls even further. Automation and AI eliminate massive numbers of jobs, starting with blue-collar labor, but eventually moving up to some professional jobs as well. These changes cause social unrest, and the country becomes even more divided along political, educational, and cultural lines. The Bottom 60% starts to protest violently, and calls for “free everything” grow louder; the Top 40% resists but is eventually forced to retreat. The government is powerless because it cannot stop 60% of its population from wanting to murder the other 40%. U.S. government debt grows exponentially higher, and it is impossible to reduce the debt because more and more tax revenue is spent on interest payments. The USD loses reserve currency status and is replaced by the RMB, and widespread hyperinflation begins, Weimar Republic-style. The country starts to resemble Argentina: a promising, advanced economy 100 years ago that spiraled into chaos and dysfunction. In the Bull Case, the Bottom 60% begins to fare better, social mobility increases, and the two most distorted sectors – education and healthcare – become less distorted. In the education/career realm, overpriced 2nd and 3rd tier universities start to fail as student enrollment falls. In their place, trade schools, which cost far less and which teach skills that directly lead to employment, start to take over. This is already happening in the technology sector, with the rise of 12-week coding bootcamps that lead to 6-figure job offers. The top universities survive, but they become more of an optional step for wealthy people who want to learn more rather than a requirement to find a job. It becomes easier to earn money on the side and start your own business due to new marketplaces and skill-sharing platforms; those changes drive small-business growth and wage gains. In healthcare, many firms start to skip insurance and instead negotiate directly with medical providers – similar to what companies like Whole Foods, Boeing, and Wal-Mart have done. No longer protected by price obfuscation, these providers are forced to do what every other industry in the world does: reveal their prices for different services. This pricing pressure forces out a lot of “hospital administrators,” who earn more than actual doctors despite not doing all that much. Automation and AI destroy jobs, especially for lower-income people, but universal basic income is implemented to help combat some of the social unrest. To support UBI, existing entitlements change, the government implements a wealth tax, and taxes for upper-income groups increase. The wealthy agree to it since higher taxes sure beat the guillotine. While China surpasses the U.S. as the largest economy on a nominal basis, the USD remains the reserve currency, and GDP per capita remains far higher in the U.S.
Financial Markets… Decoupled from the Real Economy? Now to the financial markets. Although they are related to the real economy, they’ve become increasingly disconnected over the past few decades, and especially over the past ~10 years. Something that’s positive for the markets could easily be negative for the economy, or vice versa. 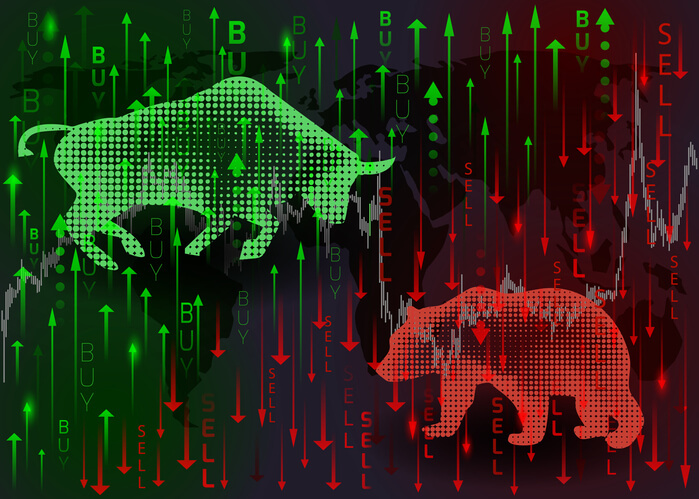 In the Bear Case, the Fed’s monetary tightening and interest-rate increases, combined with slowing global growth and trade wars, result in a massive stock-market correction. The S&P falls by 50%, and the Fed panics and instantly cuts interest rates to 0% once again. It also re-starts quantitative easing, this time going beyond Treasuries and mortgage-backed securities and purchasing equities and corporate bonds directly, similar to what the Bank of Japan did. It doesn’t work as well this time around, so the Fed implements negative interest rates, taking a cue from certain European countries. Over time, however, the negative interest rates encourage the U.S. government to grow its deficit so much that public debt grows to 200-300% of GDP. The USD loses reserve currency status, and in its place, investors shift to the RMB, EUR, some “basket” of currencies, or maybe even Bitcoin. Now forced to pay positive interest, no longer able to service its debt, and unable to raise more debt to fund its deficits, the U.S. induces hyperinflation. No new wealth is created, and the markets remain at permanent lows. Once again taking a cue from Argentina, the wealthy begin to store all their money in real estate or offshore accounts to avoid inflation. In the Bull Case, the Fed continues to tighten monetary policy and reduces its Balance Sheet to “normal levels” (i.e., Total Assets just above USD currency in circulation) over the next few years. Interest rates go up a bit but remain below the historical average – which still makes them higher than rates anywhere else in the developed world. There are several more 10-20% corrections, but no major crashes, and the markets remain muted but not disastrous. Although the government continues to run huge fiscal deficits, the USD remains the reserve currency, ensuring that the government can keep increasing its Debt / GDP ratio indefinitely (though it eventually stabilizes after tax and entitlement changes). This happens for one simple reason: yes, the country has problems, but everywhere else has even more problems. For example, by some measures, China is even more reliant on debt to fund economic growth than the U.S. and other developed economies. Some smaller economies remain fiscally responsible, but they do not have government bonds in the quantities required to meet investor demand, so the USD reigns supreme. The stock market returns to its historical average P/E multiple of ~15x, and it records modest gains of 5-10% per year, on average, as earnings grow and multiples stay in a fairly narrow range. So, What Happens Next? And How Does This Affect You? Reading over these descriptions, I admit these are pretty extreme scenarios – at least the “Bear Case” ones. So, no, I don’t think the economy or financial markets will perform as badly as what I described there. The most likely outcome is that individual elements of these cases transpire, but nothing happens 100% as laid out here. Massive student loan defaults and an extremely unpopular potential bailout floated by politicians. The rise of “trade schools,” such as the coding bootcamps in tech. The fact that many schools no longer teach anything worth learning but still charge ridiculous sums to attend. But I’m less optimistic about healthcare; there, I think we’ll need an acute crisis to see real change. This article was mostly speculation, backed by charts and data, so I’m not sure how many specific takeaways there are for you. But going back to the “Price Chart” from 1998 to 2018 above, my one piece of advice might be to avoid the sectors where prices have increased by far more than inflation (education and healthcare). When that happens consistently, it’s a good sign that the sector will eventually come crashing down or otherwise be disrupted. 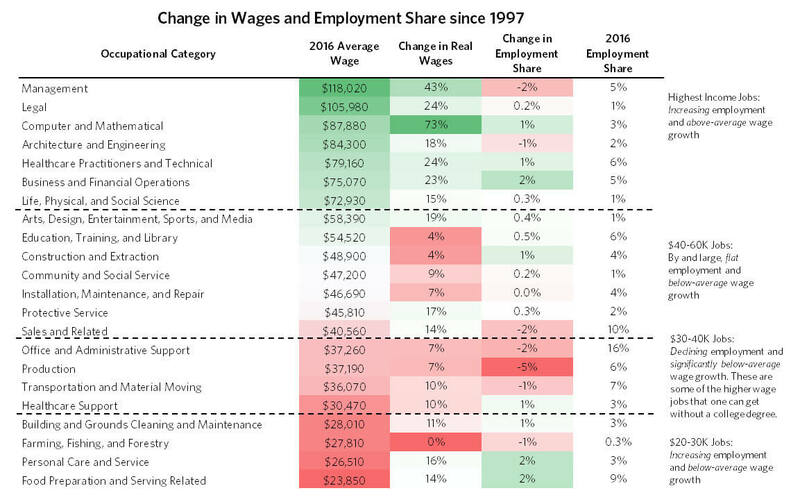 Aim for industries where prices have increased modestly or even declined, and where wage growth has been strong – software is the best example since wages have jumped 73% even as prices have fallen by nearly 75% (!). In the final article in this series, I’ll discuss recruiting trends and how the market is likely to change in 2019 and beyond. Until then, what do you think? Are you more optimistic or pessimistic than me? Or do you interpret this data completely differently? Interesting analysis. But, is it necessary to compare a less favourable scenario in the US with Argentina? Is it correct to say that Argentina is in chaos? Far from that, actually Venezuela, Mexico, Russia and Italy are better parameters as regards ‘chaos’… The highest inflation in the world, high levels of homicides and drug trafficking, corruption and a dictatorship, debt… Respectively. Is it China’s society free? Has US never defaulted its debt? Has US free education and health care? The arrogant comparisons of American citizens and media are tiring… It’s no surprise many societies around the world find you disgusting. Surprising from someone educated, intelligent but… Not polite at all. Don’t know what to tell you – I lived in BA for a year and still have friends there. This comparison comes from direct experience living in the country. I agree that Venezuela, Mexico, etc. are worse. But that’s the point of the comparison: I’m not saying that the U.S. will turn into one of those (even worse) countries, but I think its financial system could lose credibility and go through massive inflation. Sure, there are still many good aspects of Argentina… yes, its education and healthcare system are still good despite the financial problems. But if you compare the country 100 years ago (top 10 economy, one of the first subway systems in the world, etc.) to what it is today, it’s hard to say that it has improved relative to other developed countries since then. Brian – fun read. Interesting that you didn’t include geopolitical factors blowing up (i.e. war with Russia/China, etc..) as part of your bear case though. Thanks. Yeah, I considered geopolitical factors, but this was already longer than I wanted, and I have 0 visibility into what will happen in terms of wars and other conflicts. But you’re right that there’s some major risk there. I don’t think WWIII is likely, but I could see another conflict like Vietnam, Syria, or Iran/Iraq where major powers get involved on opposite sides.